The SMX300 screw control unit is a single-channel, modularly expandable PC-based control system for manual or built-in nutrunners. The SMX3000 is a stand-alone system, which can control up to nine single-channel screw modules HSX as slaves, which in turn can store screw programs. The control allows complex screw sequences, in which the control of the connected screw units takes place individually, synchronously or in up to eight groups. 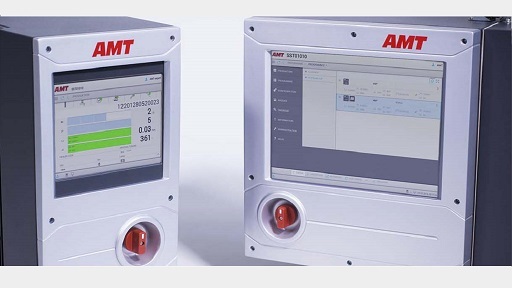 With the associated software, all common screwing methods can be implemented with monitoring of torque, angle of rotation or stretching limits. The process monitoring is used for 100% control in the production of screw connections with all usual procedures by monitoring torque, angle of rotation and yield point. For integration into the application as well as for network integration, a comprehensive interface is available; fieldbus systems are available via optional expansion cards. The parameterization, operation and programming as well as the process visualization are carried out via an integrated 6.5" touch-screen display. Important fields of application are automated assembly processes for safety and function-critical assemblies, which require high clock rates and high repeatability in monitored and documented screw quality. Typical applications are the assembly of automotive assemblies, such as engines, transmissions, cylinder heads, couplings, axles or drive shafts. Important user industries are the automotive supply and automotive industries.